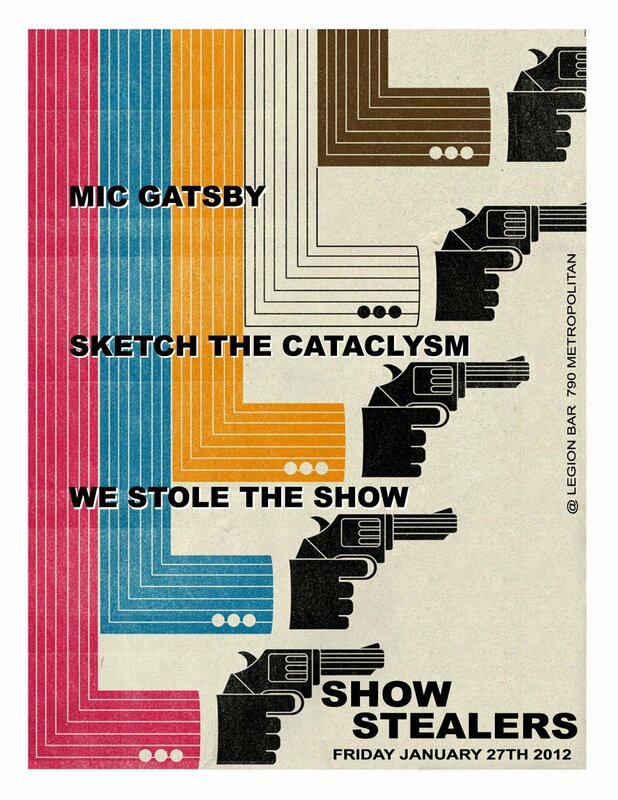 Show Stealers: We Stole The Show | Mic Gatsby | Sketch the Cataclysm – NYC [1.27.12] – Be Fearless. Be Flagrant. My Buffalowe Soldiers Rhyson Hall & Grand Phee are still kickin’ and stealing shows. Catch them performing at the end of this month at the Legion Bar in Brooklyn. WHO: We Stole The Show | Mic Gatsby | Sketch the Cataclysm performing.